Whitinsville … Elsie Rue (Burns) Ebbeling, 90, died at home, Wednesday, October 3. 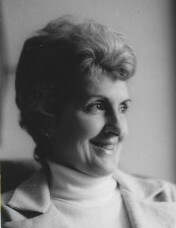 Her husband, George J. Ebbeling, died in 2011. She is survived by two sons, Robert B. Ebbeling, of Dalton, Ma, and George J. Ebbeling, of Oakham, Ma; four daughters, Cheryl Lynn Maybury, and Kathy Sue DeAndrade, of New Smyrna, FL, Mona Bronson, of Eugene, OR, and Johnette Lee Baszner, of Rolesville, NC; a brother, Wilbur Burns, of Euless, TX, a sister, Reba Harris, of Carthage, TX; 12 grandchildren, and seven great grandchildren, Ava, Keira, Davon, Jordan, Josie, Viona, and Alice. She was predeceased by two brothers, Melvin and Charles Burns. Mrs.Ebbeling was born in Antioch, Texas, September 13, 1928, a daughter of Alpha and Mary (Capps) Burns, and had lived here for 70 years. She was a graduate of Carthage High School, in Carthage, Texas. Elsie loved her Texas heritage, and often related stories of her Texas home. A loving Mother and homemaker, Mrs. Ebbeling worked at the former Lee Jewelers, was a hostess at the Victorian Restaurant in Whitinsville, and sold Mary Kay Cosmetics. Mrs. Ebbeling's family offers a special thank you to Hawa Gyan, who cared for their mother with dedication and love. Funeral Services will be private, and there are no Calling Hours.